Silicon Valley liberals have been busted trying to corrupt the children of America and normalize pedophilia within their ranks, promoting a bizarre series of highly successful YouTube videos for children, featuring constant themes of urination, defecation, eating from toilets, and perverted sexual themes. 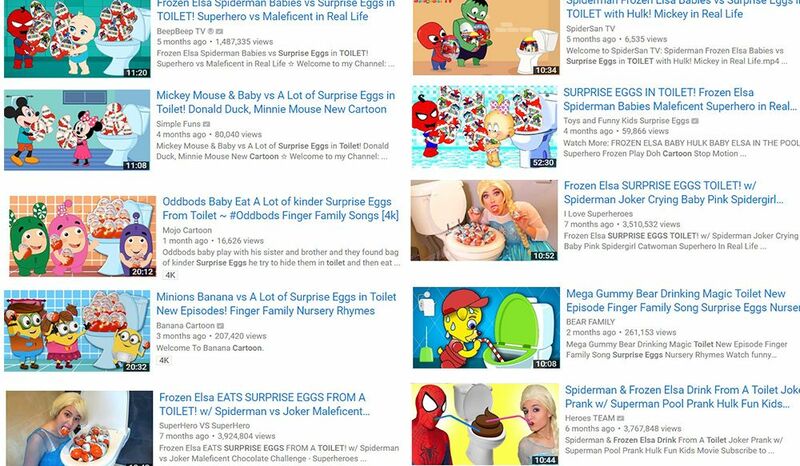 Searchable on YouTube under the hashtag ElsaGate, the videos are seriously popular with children, gaining millions and millions of views, often surpassing within days, anything near what most of the most successful YouTubers get, including PewDiePie and mainstream media channels. 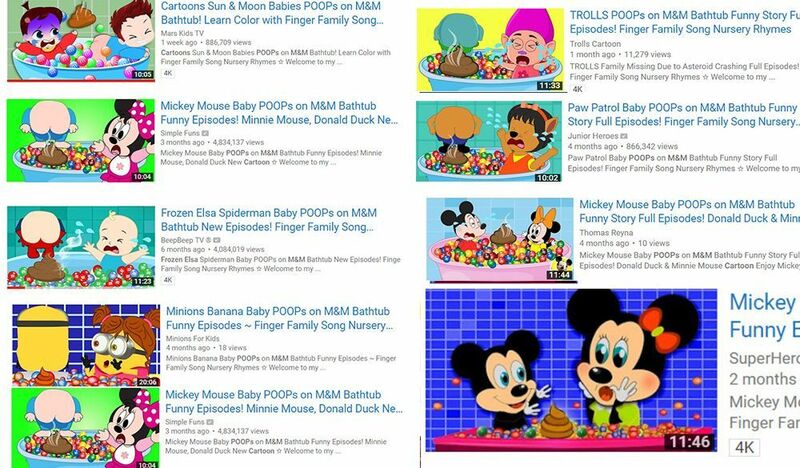 The Elsagate channels are the most popular channels in the world, and they all have a similar theme, with three key characters that appear in concert throughout a labyrinth of channels. The key characters are: Spiderman, The Joker and Elsa (from the Disney movie Frozen). While promoting this sick filth aimed at corrupting the minds of impressionable children, Silicon Valley liberals are suppressing alternative media and individual social media users who dare to question their morals (or lack thereof) and demand society retain its values regarding the innocence of children. 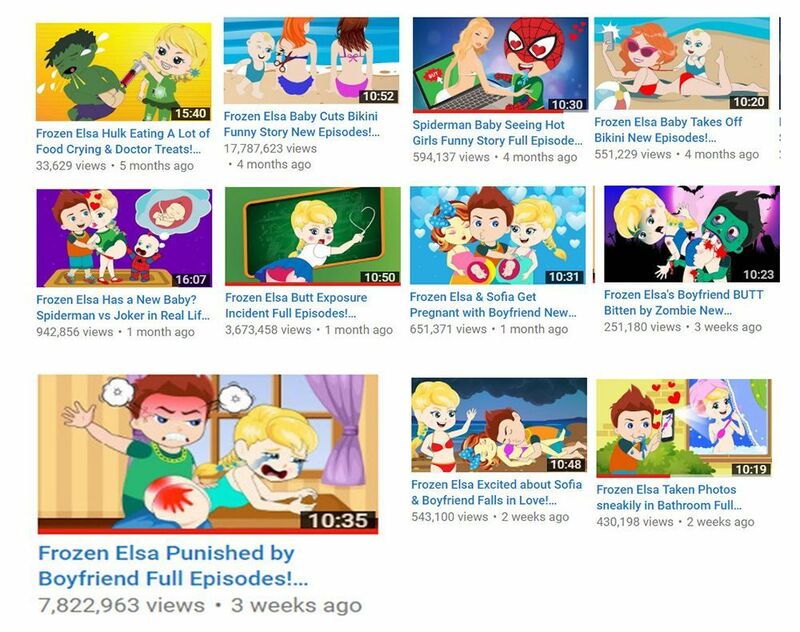 The common themes within ElsaGate videos repeat over and over again, lulling the child into a sense of security, despite the adult and often perverted subject matter. Themes include what some researchers describe as a toilet or “water sports” fetish. For instance, Elsa, the main character, is involved in continuous scenes involving a bathroom and urination. The Outer Light reports: One common scene includes Elsa waiting to go to the bathroom, but in her dismay, Spiderman will not open the door. At this point Elsa, has no choice, but to urinate in the hallway. 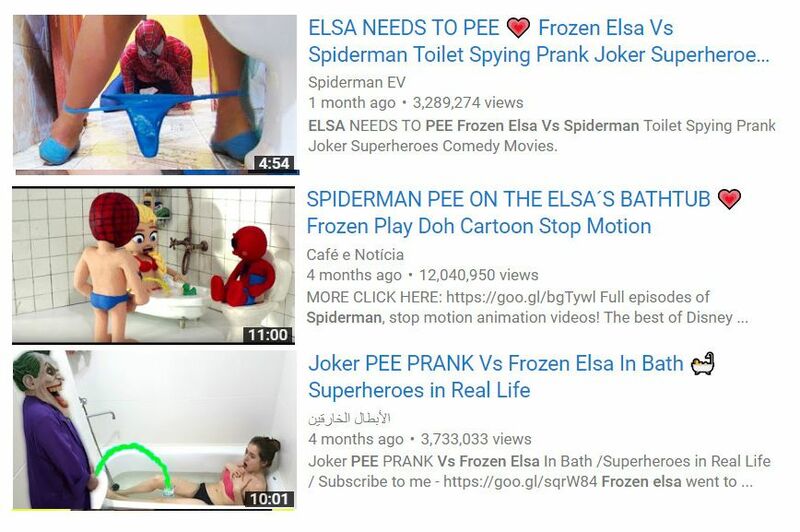 Other common themes involve, Spiderman urinating into a bathtub, which Elsa gets into. You could say that this is a case of art imitating art – YouTubers repeating successful models, that gain lots of views; leading to something of an anomaly out of chaos. Which, to be fair, could be the case. However, there is something else. As with all things, if you look closer at parts of ElsaGate, you see other patterns. 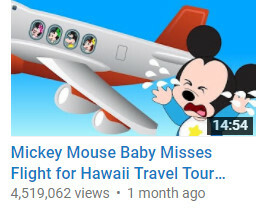 Take one YouTube channel, for example, focusing on cartoons, featuring Elsa in almost every video. 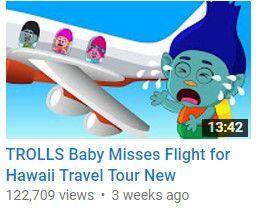 When you watch this channel, you think you are just watching more of the strange Elsagate videos, where babies are cutting off women’s bras, and Elsa is always being spanked or spanking someone. That is, until you watch beyond this cartoon network, and start to see a pattern in the labyrinth. One such pattern, out of many, that repeats almost exactly across networks – is the scene of the father drinking beer, when the phone rings. Then the father leaves, and the children get the rogue beer and become drunk. At this point the bottle leaves their hands, and falls upon one of their heads (see video below). For days, I pondered why, this scene repeats, within different animations, from different channels. I could not work it out, but I came to one speculation – It would make sense to repeat the scene, over and over again, exact, if it was scripted psychological programming. Now, I know, you are probably thinking, about now, that I should remove my tin foil hat, but sit back and think about it for a moment: the scenes do not deviate from their architecture, even when re-animated. They involve a phone ringing – a useful device, to tell the viewer, to pay attention. They involve close ups, often of the beer bottles, with a wide “alert” halo around them. They all involve shock injury, something that would make a child remember. There are of course, many other strange repeating scenes. A child being left behind and crying. Often with a plane. These repeat often. And on and on, down and down, this rabbit hole goes, until you realise, you don’t have to watch the Twilight Zone anymore, you are living in it. The repeating scenes of a bathtub of M&Ms and faeces I found the most strange. But then food in general, seems within ElsaGate, to be found in the toilet. So maybe not that strange after all, at least within the ElsaGate narrative structure. ElsaGate is advanced psychological programming, aimed at the most vulnerable members of our society: children. We have to entertain the idea that the goal is an outcome of societal dysmorphia, with a likely goal of societal division, and a lack of traditional values. You must remain vigilant about what your children consume on the Internet. It is not a safe place for a child to wander unaccompanied by an caring adult. Even filtering out adult content won’t work, because ElsaGate videos are considered child-friendly content by the sickos in Silicon Valley. Do not let your children become addicted to psychological programming videos on YouTube. Ex-CIA Analyst: Controlled Politicians And Why The World Hates U.S.